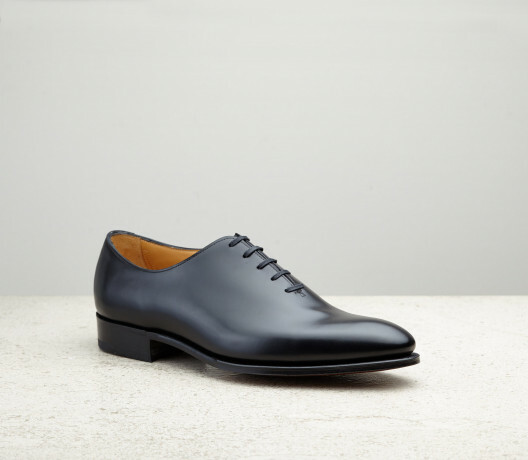 Sometimes only formal will do. 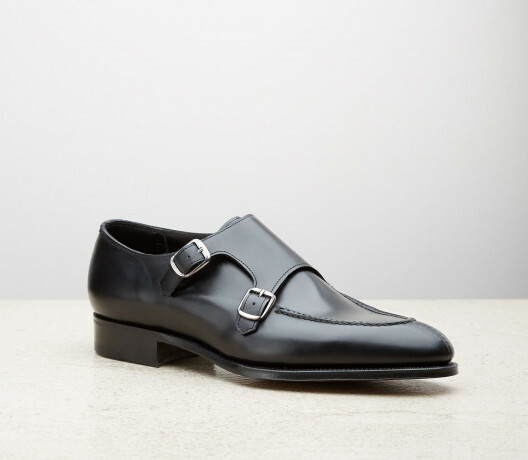 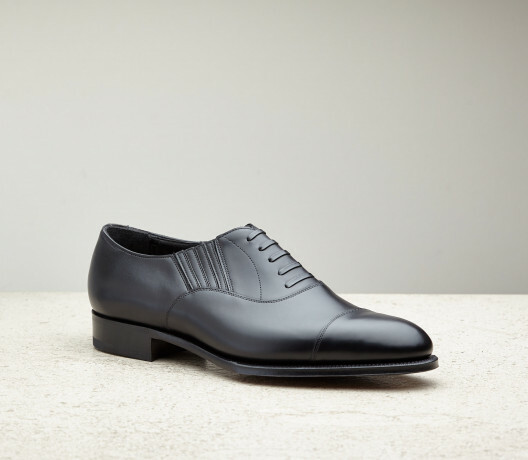 Rakish, elegant and sophisticated - this is an edit of dress shoes with more than a touch of glamour. 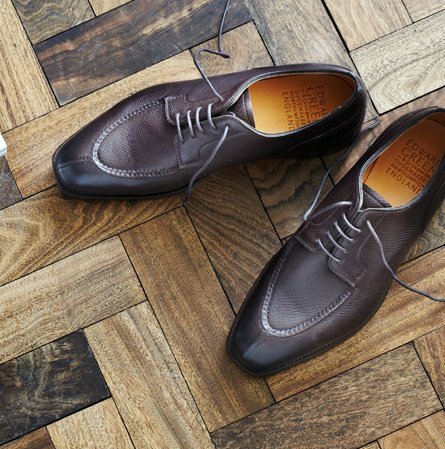 At Edward Green we pride ourselves on making some of the world's most elegant dress shoes. From the quality of the calf, the form of the last, to the closed channel of the sole, every detail has been considered and refined to produce a shoe of grace and balance. A shoe’s last defines much of its character and here we focus on the slender almond profiles of the 915 and 82 lasts. 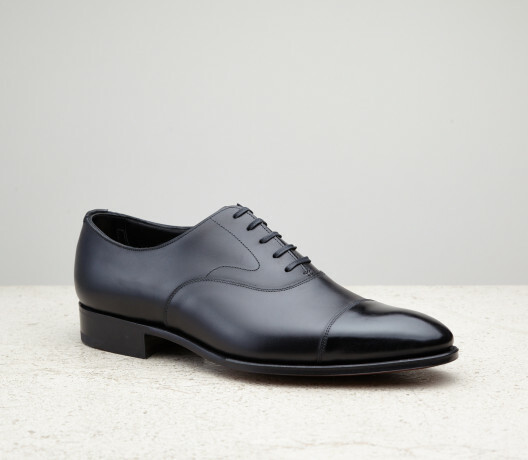 Simple, clean lines that focus attention on the shoe’s silhouette make for a more formal look. 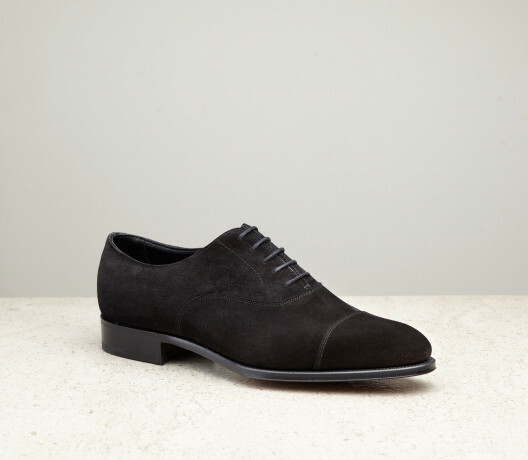 A wholecut - such as the Newbury - is a perfect choice for evening wear and a great alternative to a patent oxford. Whilst a double-monk brings a little exuberance and élan - none more so than our Fulham, with its handsewn apron.